Tampa Personal Injury Lawyers | Florida Medical Malpractice Attorneys | William E. Hahn, P.A. Based in Tampa, William E. Hahn, P.A. is a preeminent Florida trial attorney whose practice is dedicated to helping injured plaintiffs throughout the west coast of Florida in medical malpractice, legal malpractice, and serious personal injury cases. To learn more about our legal services, please see our practice areas overview page. Mr. Hahn has successfully tried many personal injury and professional negligence cases to verdict before juries and judges and is a Board Certified Civil Trial Lawyer, certified by the Florida Bar Board of Legal Specialization and Education. He has been recognized many times over for his exceptional legal services by his peers and the legal community. 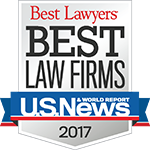 Mr. Hahn is listed in Best Lawyers in America, Florida's Super Lawyers, and Florida's Leading Attorneys in the categories of personal injury law and medical malpractice. In 2009, Best Lawyers in America named Mr. Hahn the "Tampa Bay Best Lawyers Personal Injury Litigator of the Year for 2009," an award given for the very first time to Mr. Hahn. In addition, Mr. Hahn has received the prestigious AV rating from Martindale-Hubbell, signifying the highest ethical standards and legal ability. In 2010 Mr. Hahn was nominated and selected to The American Law Institute. The American Law Institute is the leading independent organization in the United States producing scholarly work to clarify, modernize, and otherwise improve the law. The Institute (made up of 4000 lawyers, judges, and law professors of the highest qualifications) drafts, discusses, revises, and publishes Restatements of the Law, model statutes, and principles of law that are enormously influential in the courts and legislatures, as well as in legal scholarship and education. Mr. Hahn works directly with all of his clients, communicating with them personally and returning phone calls. He helps his clients understand their legal options and keeps them up to date on the status of their cases. Mr. Hahn works side-by-side with his dedicated legal assistant, who has been with him for 25 years. We handle personal injury and professional negligence cases throughout the west coast of Florida, including Tampa, Pinellas, Manatee, Charlotte, Collier, Fort Myers, Pasco, Polk, Sarasota, and Naples. We offer free consultations and are conveniently located just outside of downtown Tampa in Old Hyde Park. Contact William E. Hahn today at (813) 250-0660.